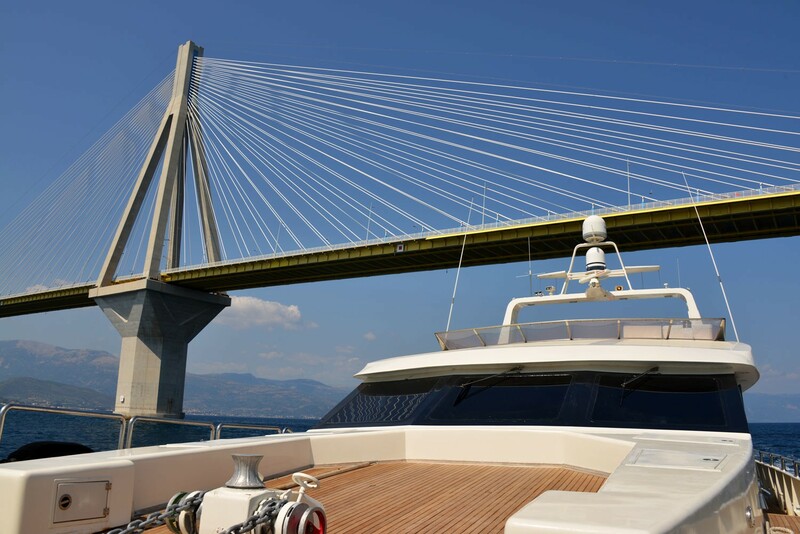 Built in 1994 by the Turkish shipyard Aegean Yachts, luxury crewed motor yacht EVIDENCE (Ex Ekali) measures 31m (101.8ft). 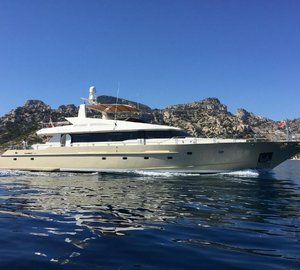 The yacht underwent an extensive refit in 2013 and is now available in the West Mediterranean, offering accommodation for up to 12 guests. 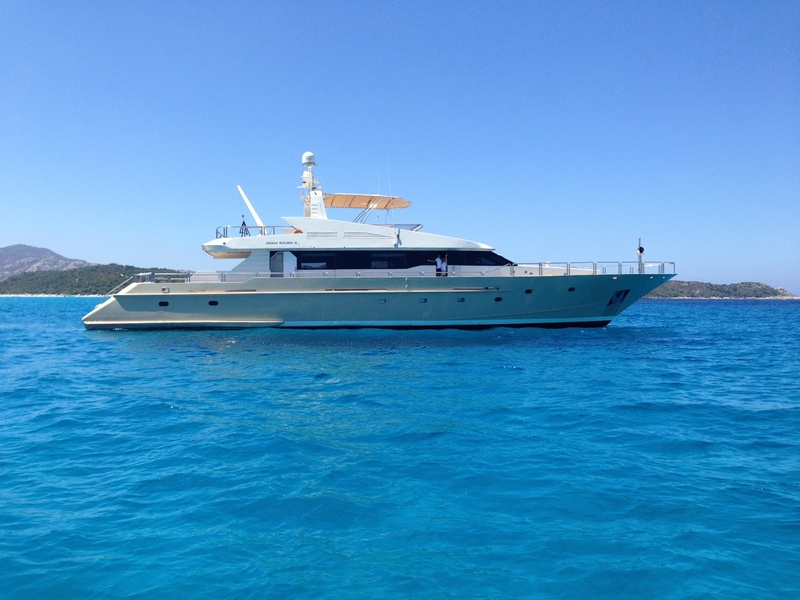 She is the ideal choice for large groups and family gatherings, boasting a generous interior and exterior layout. 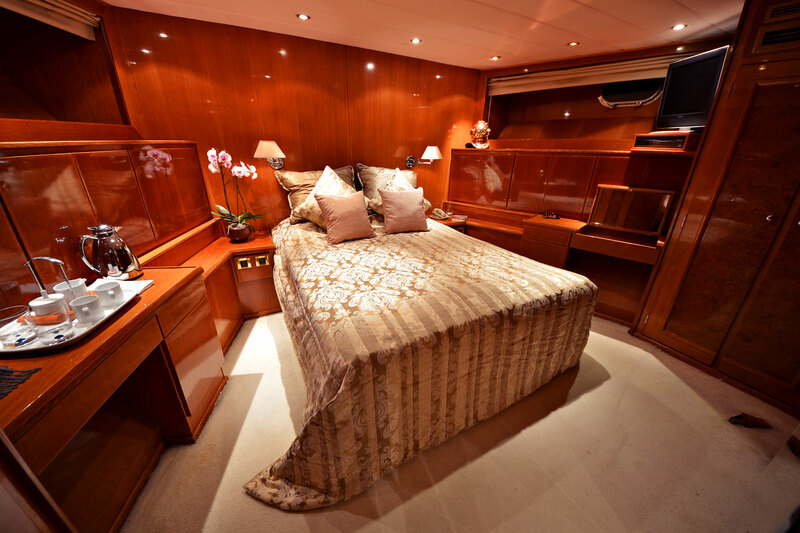 The yacht features a warm, welcoming interior, with high gloss cherry wood panels, subtle cream carpets and plush soft furnishings. 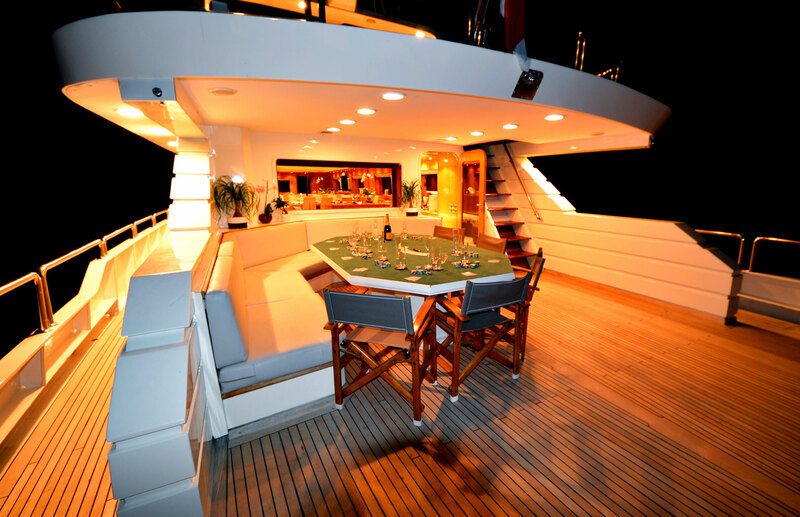 The salon and dining is an open plan. 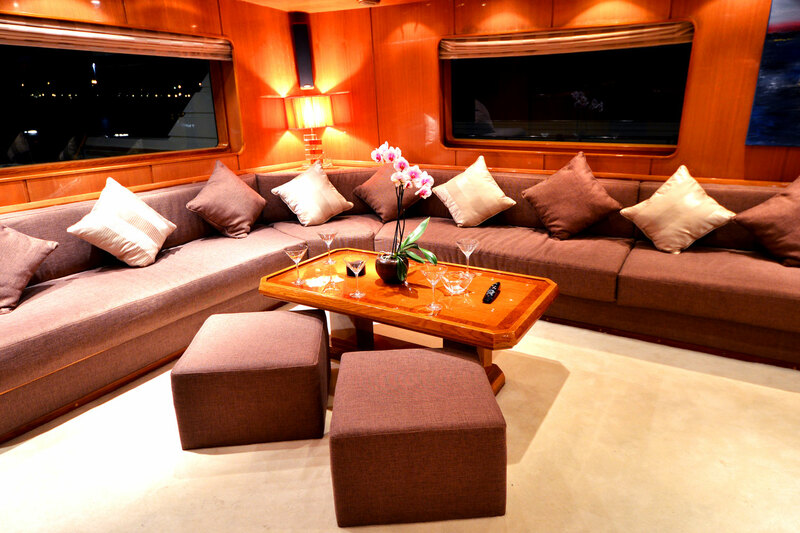 The lounge is aft with a large L shaped sofa, coffee table and entertainment system. 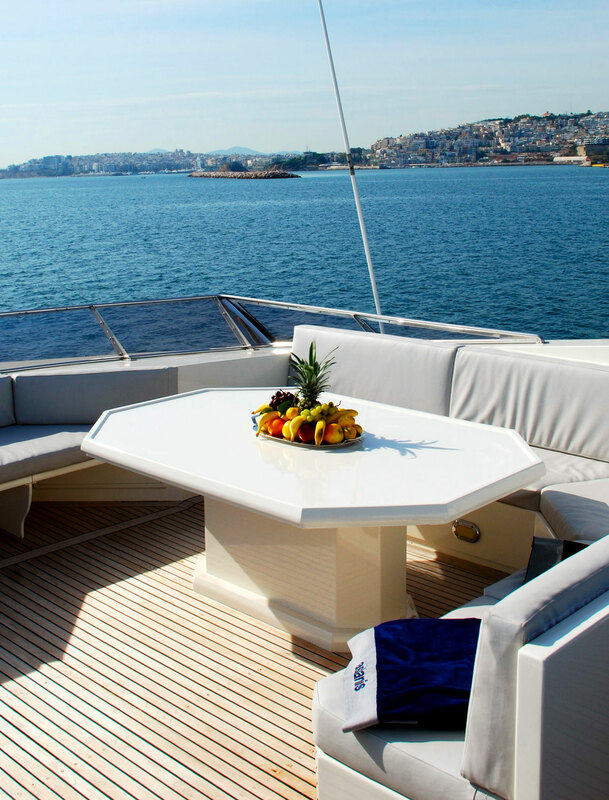 Forward, the formal dining table seats 10 guests easily. 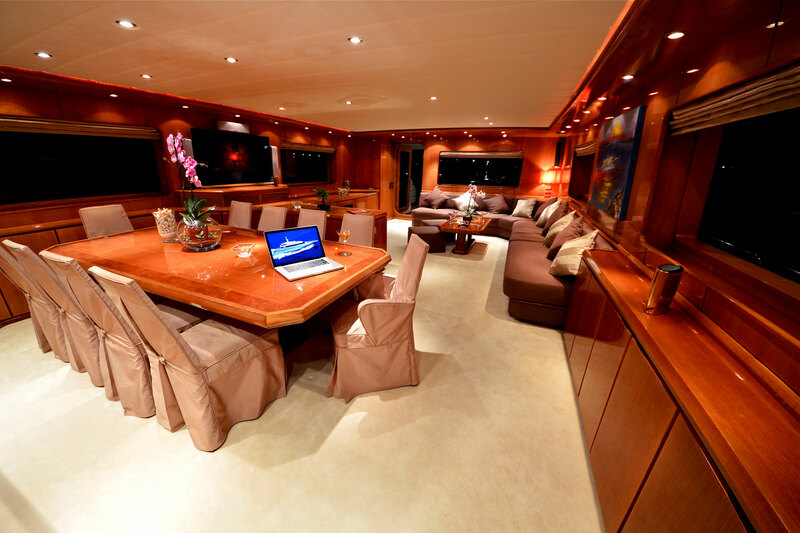 Panoramic windows infuse the space with natural light, while providing fabulous views. 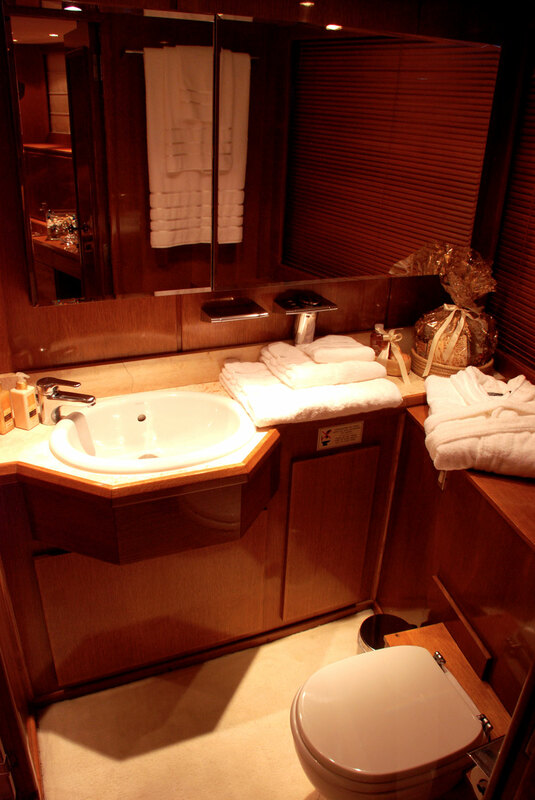 Guest accommodation is in 5 en-suite cabins, each with TV entertainment systems. 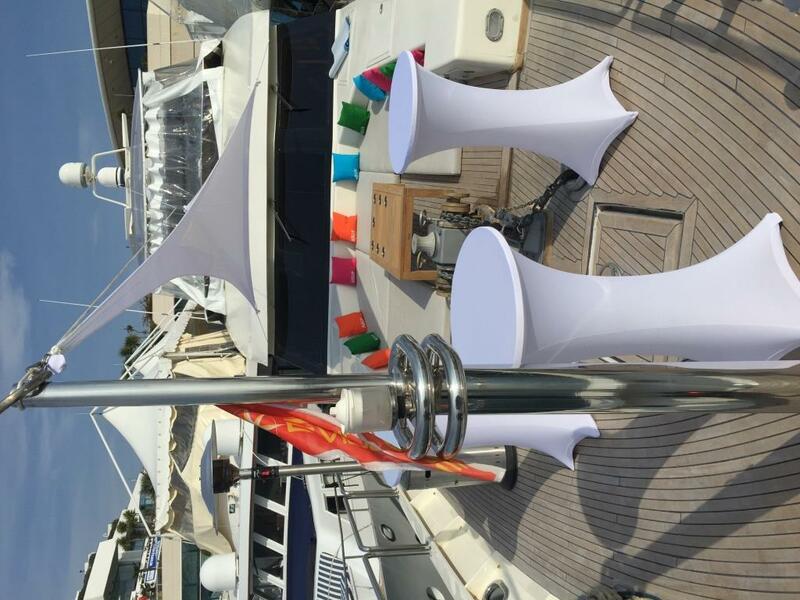 The aft deck aboard is adjacent to the salon and offers partial shade, seating and an alfresco dining option. 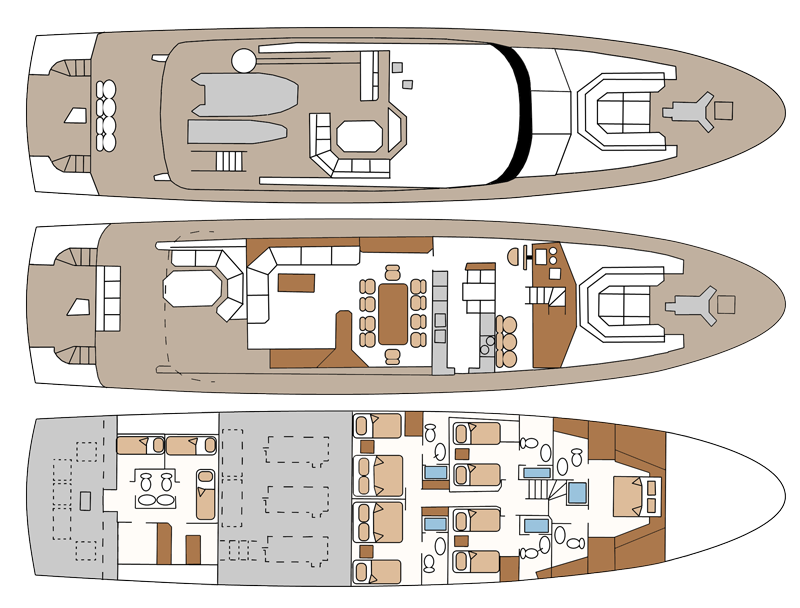 With a beam of 7.3m (23.11ft), She has ample teak decks that wrap around the yacht, giving guests easy access forward, to the expansive foredeck and massive sunpad. 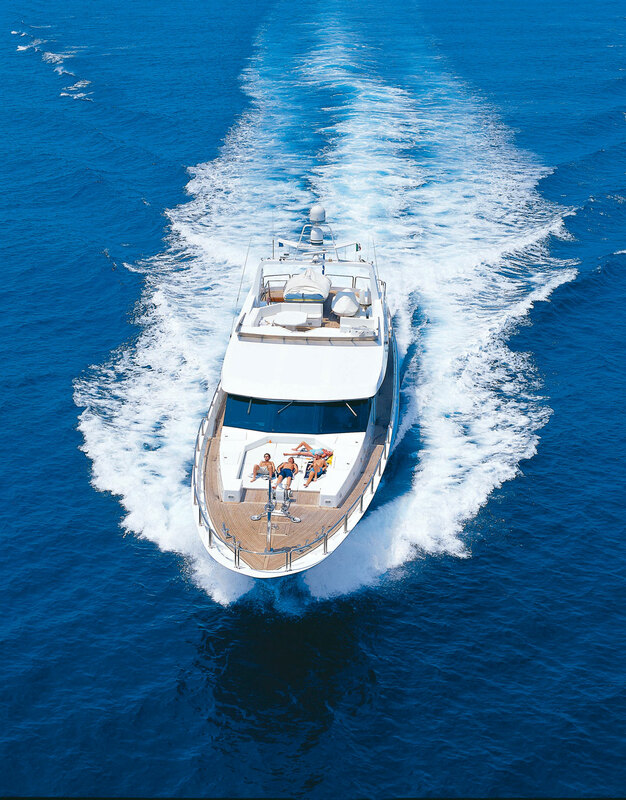 Above the main deck, the flybridge is perfect for entertaining and has a large seating area, alfresco dining option and generous open deck space, great for sunning. 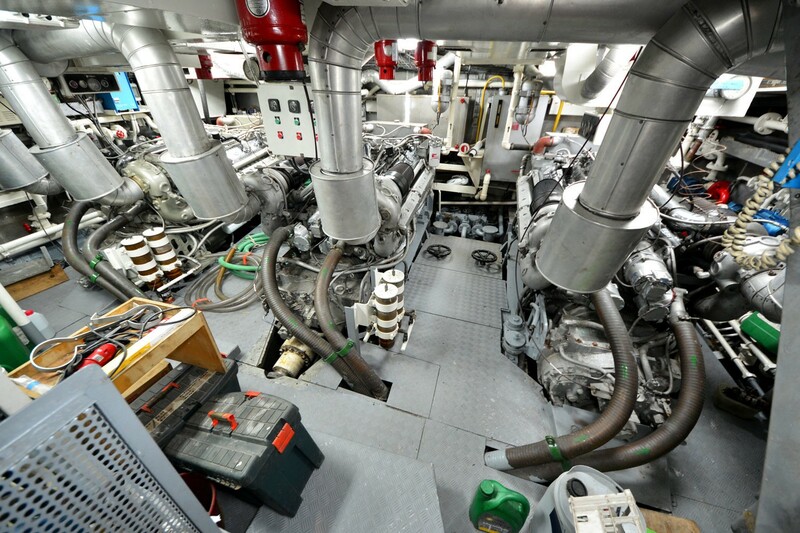 EVIDENCE is powered by 3 x 1450hp, Detroit Diesel engines and is capable of 16 – 23 knots. 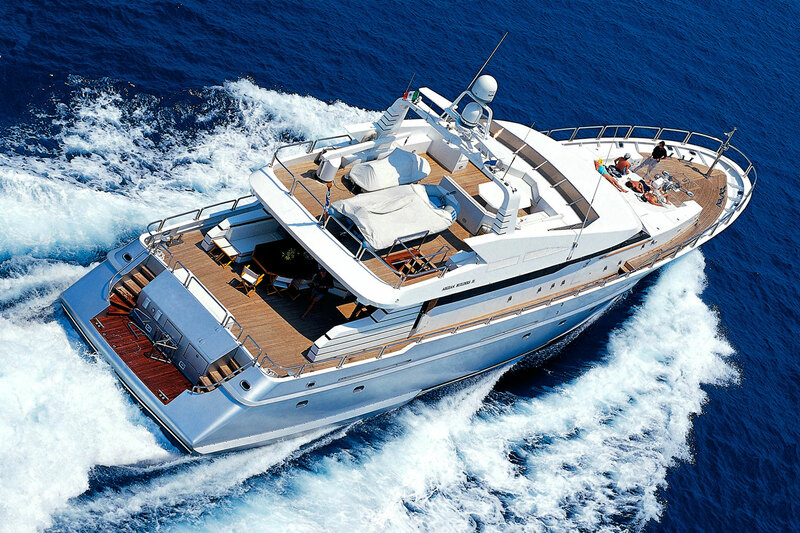 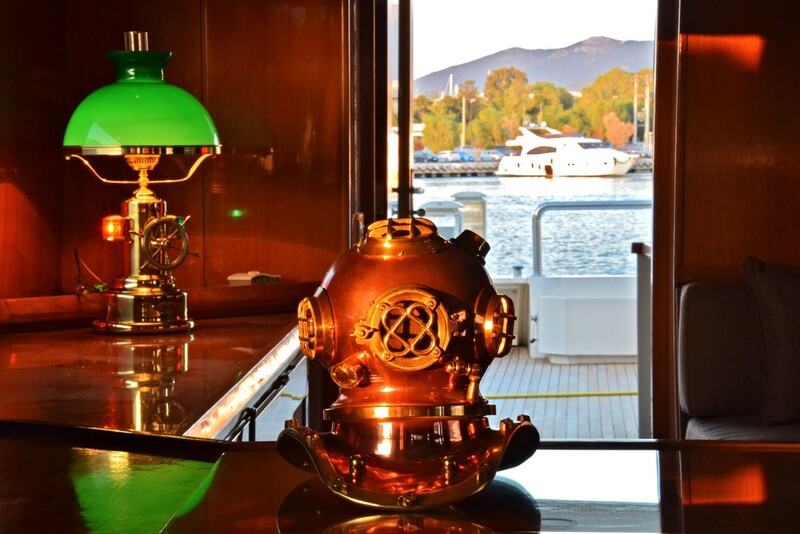 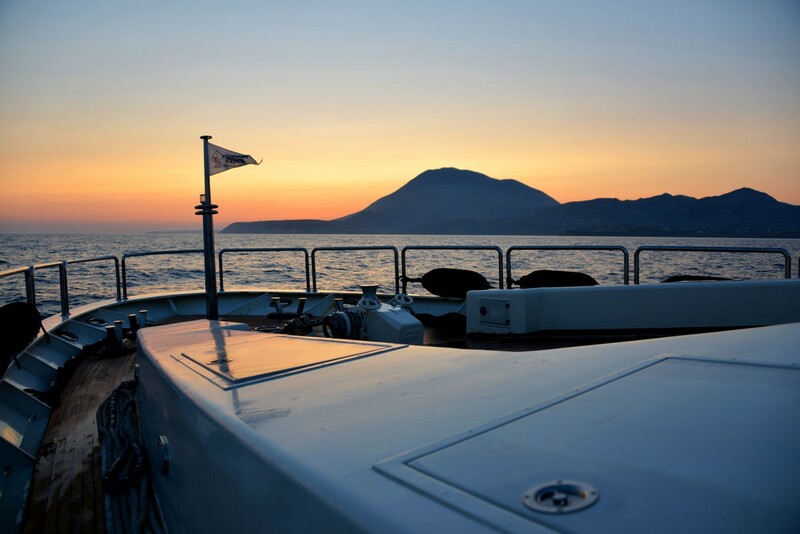 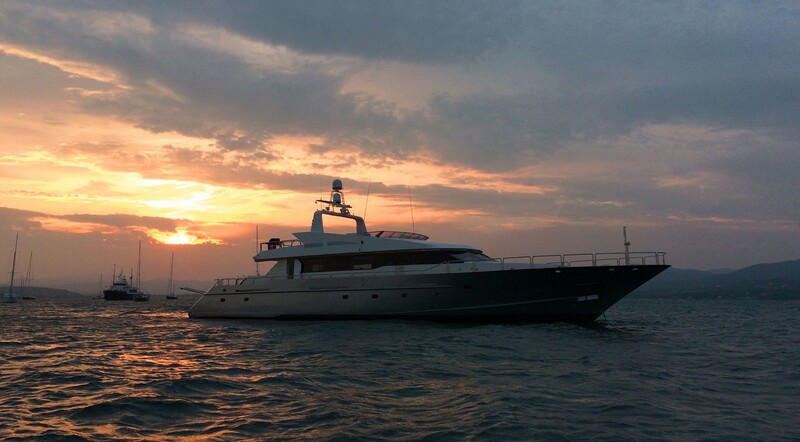 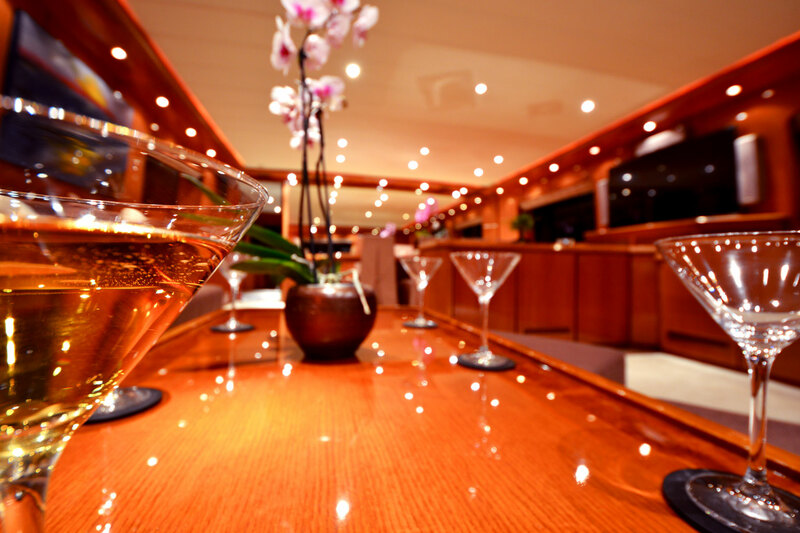 Luxury motor yacht EVIDENCE offers accommodation in 5 en-suite cabins, for up to 12 guests. 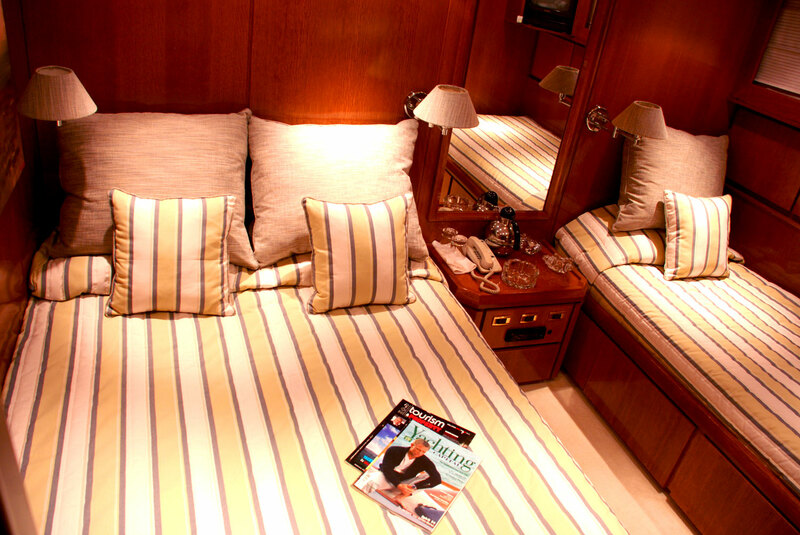 The master stateroom is full beam of the yacht forward, with a double bed. 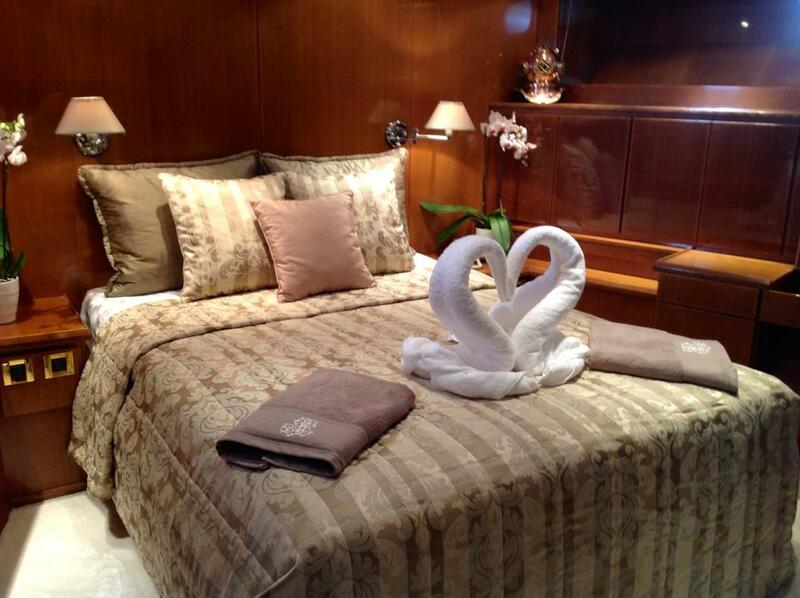 Two guest cabins have double beds each, plus an additional single Pullman berth. 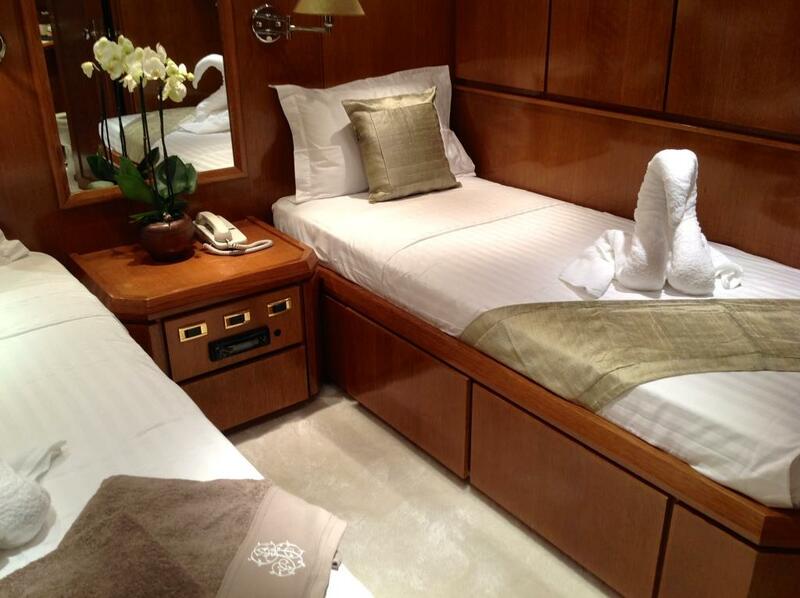 A further 2 cabins offer side by side twin beds. 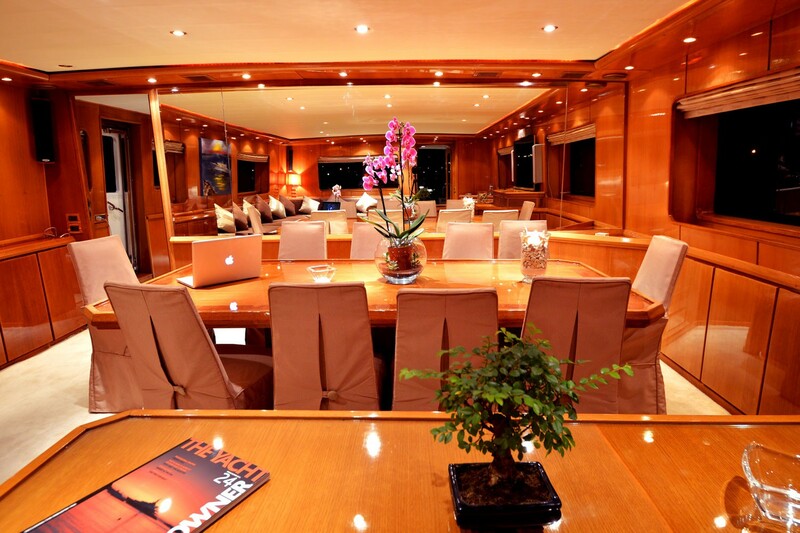 All 5 cabins boast TV entertainment systems. 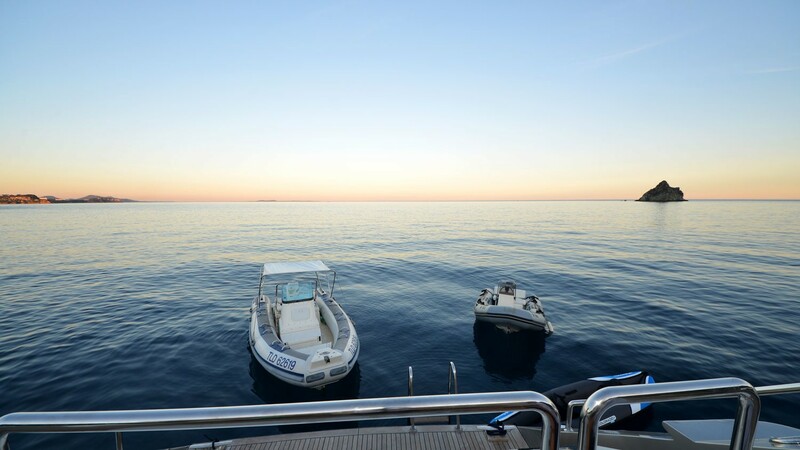 Tenders and toys unclude: 1 tender NEW 2014 tornado 5m80 Yamaha 115CV, 1 Wakeboard, 4 pairs of water ski (& for child) 1 paddle & 12 snorkelling, Deep-sea fishing (3 full equipments), 2 Donuts and 1 Banana, Jetskiing (1 Yamaha, 1 Seadoo GTR 215HP), Kayaking, Audio Visual Equipment and Deck Facilities: All the cabin & saloon are equipped with tv hd LG brand and the saloon TV LED HD 3D TV 55" LG brand audio system Salon: 1TV LG 3D LED 55’’ Systeme HIFI: Ampli Sherwood, Enceintes Audio Monitor, Playstation 3, Apple TV. 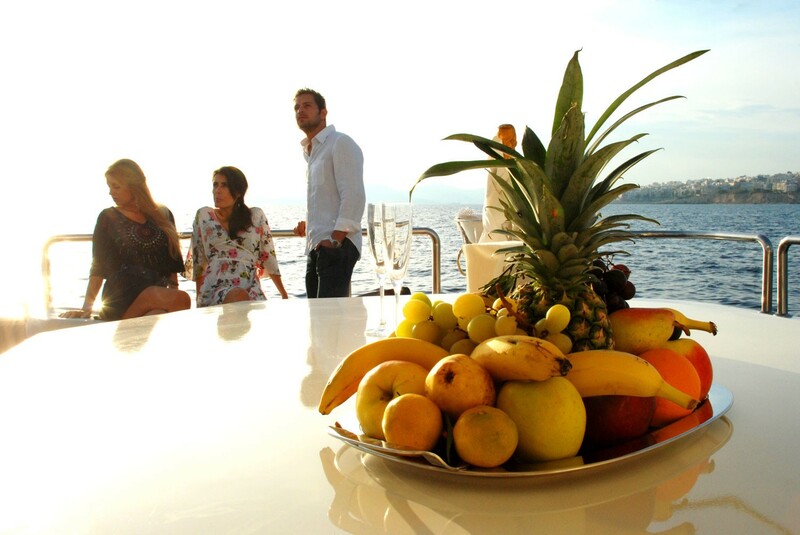 INTERNET key 3G Chambres: TV LG LED + 2 enceintes.